Overlooking pristine white sands, InterContinental Hua Hin Resort is an elegant Hua Hin hotel near the beach and has two beachfront villas with private plunge pools. Let InterContinental Hua Hin Resort‘s private jet fly you here from Bangkok. Choose from eight restaurants and bars serving authentic Thai cuisine and international fare. 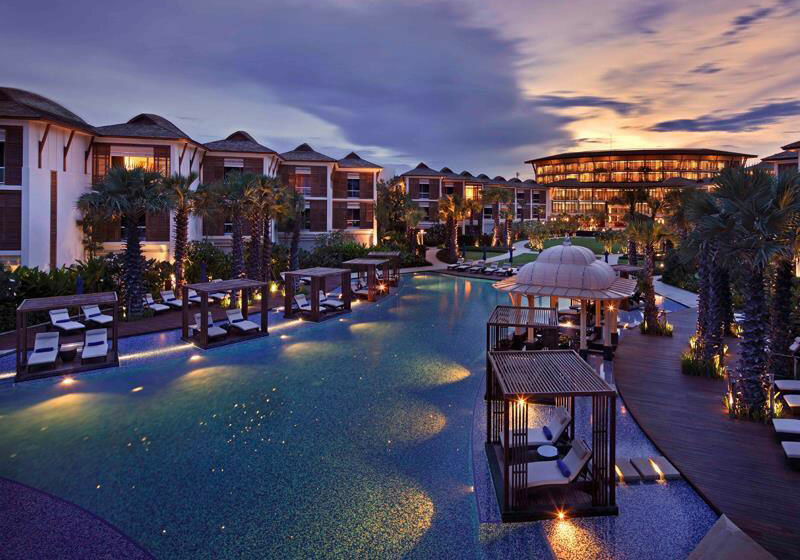 This Hua Hin hotel near the night market offers many shopping and dining options, with further diversions of golf, elephant treks and the Royal Summer Palace. Short Description: Overlooking pristine white sands, InterContinental Hua Hin Resort is an elegant Hua Hin hotel near the beach and has two beachfront villas with private plunge pools.